Whilst there is a great urge to achieve a “butchers link” when we start on our sausage making hobby, it is not entirely necessary. There really is no point in trying to make the experience more technical until you have your hands adapt at getting the mixture and filling right first. A butcher’s link was designed to make the linking process quicker (after all they are making large batches of sausages at a time) and also to make the hanging easier – plus it does look rather impressive! Fill a whole length of sausage casing with your mixture – without trying to link in the same process. Now decide how long you want your sausages to be. At that point, pinch (avoid nails) the casing to create a gap in the sausage meat. Now twist the sausage several times – this is your first link. Continue along the length of the whole sausage. 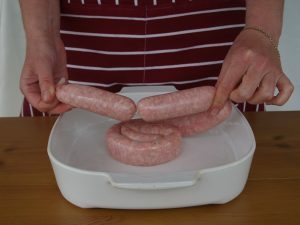 You can try a “half butcher’s link” by placing two of your linked sausages (no cutting required) side by side. One end of the sausage will already be linked. Take the “unlinked” side of the sausages and twist them together. Here is a great video to help. 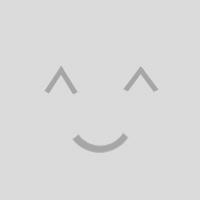 There are several videos on youtube you can watch. Scott Rea project comes to mind. It really is a lot easier to do than it is to explain. Which sausage casings or skins should I use?